bare•bones e-zine: COLD PRINT: Nathan Ballingrud's "Wild Acre" and "You Go Where It Takes You"
COLD PRINT: Nathan Ballingrud's "Wild Acre" and "You Go Where It Takes You"
Today I’d like to talk about Nathan Ballingrud. With the “Cold Print” column, my goal has been to highlight the works of authors that have struck a personal chord with me, their blend of masterful prose and keen sense of fear and tragedy interweaving to produce stories that deliver on all the fronts one could hope for in a tale of horror. Sansom blind-sided me with his patient ruthlessness; Brite enthralled me with her sensuous poetry. But Ballingrud did something special for me: he opened my eyes. 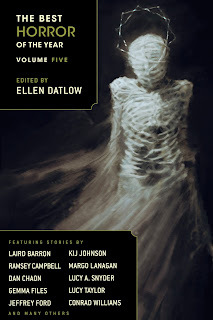 I came across Ballingrud’s name in the fifth edition of Ellen Datlow’s Best Horror of the Year series. I knew nothing of him going in; at the time he was just another content heading on the table. His story “Wild Acre” was towards the back of the collection, and after having experienced the ups-and-downs inherent in all short story-gatherings, I came to Ballingrud’s tale with absolutely no expectations. At the time I was working in a dingy office and my lunches were sometimes spent in a cramped closet space with a glaring fluorescent light where I chose to read my books in relative peace and quiet. For that hour, I was trapped with nothing but “Wild Acre” to keep me company. After I finished, I resolved to message Ballingrud as quickly as I could to let him personally know how much I enjoyed it. Though “enjoyed” isn’t really the right word, not entirely anyway. “Wild Acre” didn’t feel like just a story to me. It was a raw blister on someone else’s heart, and as I read it I felt mine beating in sympathetic pain. I saw people I knew and people I could never be, but they were all real, every one of them written with such crystalline honesty that it brought an immediacy and intimacy to the narrative I hadn't felt in some time. How can this hurt me? Dennis is on his back, his body frosted by moonlight. He’s lifting his head, staring down at himself. Organs are strewn to one side of his body like beached, black jellyfish, dark blood pumping slowly from the gape in his belly and spreading around him in a gory nimbus. Renaldo is on his back too, arms flailing, trying to hold off the thing bestride him: black-furred, dog-begotten, its man-like fingers wrapped around Renaldo’s face and pushing his head into the floor so hard that the wood cracks beneath it. It lifts its shaggy head, bloody ropes of drool swinging from its snout and arcing into the moonsilvered night. Dennis’ pleas to Jeremy to shoot the monster go unheeded; Jeremy races back to his truck and speeds away, never touching the fully loaded rifle that sits in the cab. From here one would imagine the story would involve newspapers reporting more bizarre deaths in the area, Jeremy’s sightings of weird figures that may or may not be shapeshifters, maybe a nice melty transformation scene in the Bottin or Baker tradition. After this blazing scene of fantastic violence, the supernatural only makes the faintest of whispers in the ensuing pages. Instead Ballingrud hones his focus in on the realistic aftermath of what such an attack would have on its survivors: Jeremy, the only witness to the horror, as well as his wife and the families of his friends, the poor souls who feel the ripples of that horror and end up suffering for it. Jeremy’s company had already been going under before the incident, but now the gory “animal attack” ceases all further work on the community that was to be Wild Acre. Jeremy must not only contend with his own PTSD and mountains of debt but face the mourning family members who he knows in his heart view him as the man who did nothing to save their fathers and husbands. These everyday confrontations, the perfect awfulness and discomfort of having to be human and abide by the social conventions of humanity, are the real horror at the heart of “Wild Acre.” As Ballingrud wrote in his essay “Domestic Horror”, the most poignant moments of fear come from the “sound of somebody crying in another room,” the knowledge that our loved ones are helpless in the wake of a power that is greater and darker than they, whether that power be a ravenous monster, or us. The silence afterward was profound, broken only by the pattering of the soda trickling onto the linoleum floor. If you can make it through this and the other scenes like it in “Wild Acre” without exhaling a big gust of sustained breath afterward, you may be already dead. According to Ballingrud, there have been some who’ve commented that “Wild Acre” could just as easily have been about a bear mauling instead of a werewolf attack for the way that everything eventually pans out. And though they may be technically right, to do that would in fact rob the story of its most powerful theme. Jeremy spends the duration of the tale in a state of shock at turns nervous and numbing. He has nightmares; he wets the bed; he overeats and gains weight. He becomes a shell of his former self, a man emotionally neutered by a beast. It is only during a confrontation with one of his wife’s sexually abusive co-workers--the boiling point of his rage and impotency and sadness--that Jeremy “reclaims” his manhood, but what he truly ends up doing is donning the mantle of the werewolf itself, washing himself in the comfort of physical violence, a lone figure of destruction oblivious to the objecting masses around him. The story’s ending is both a horrible cosmic joke and life-affirming in its own stinging way. It tells us that our existence is made up of isolated incidents—some meaningless and others that mean everything—and that sometimes, no matter how much we may wish for them, we won’t be given any second chances. 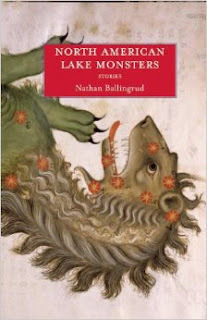 “You Go Where It Takes You,” the story that leads off Ballingrud’s award-winning collection North American Lake Monsters, is in some ways the dark sister to “Wild Acre.” Originally published in 2003, “You Go…” marked Ballingrud’s return to writing after an eight-year hiatus and the establishment of the themes of familial pain and horror that would find its way into his later tales. 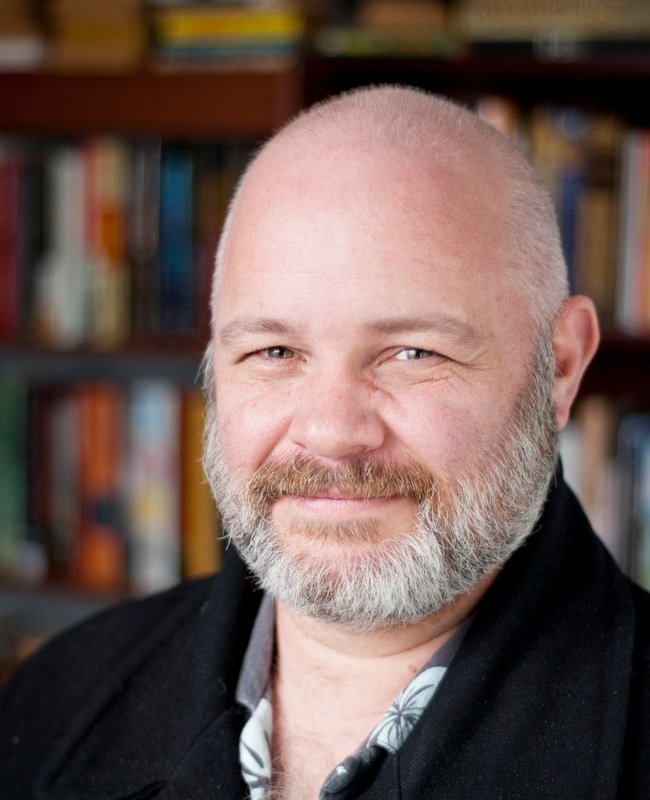 For his first publication in almost a decade from his previous work, “You Go…” demonstrates a remarkable amount of assuredness and psychological insight that only a well-spent life can bestow. In the town of Port Fourchon on the Louisiana coast, Toni is attempting to raise her emotionally unstable infant daughter Gwen on waitress wages. Abandoned by Gwen’s father Donny and gently pressured by a social worker to seek professional help for Gwen, Toni finds herself at the end of a frayed rope when she has a chance meeting with a customer at the restaurant named Alex. Though “inoffensively ugly” and slightly odd in demeanor, Alex ends up attracting Toni with his humble charms. Alex claims to have stolen a car from a man in Morgan City who was “something of a thief himself.” He promises to show Toni the confiscated treasure in the station wagon at a later time. In the meantime they return to Toni’s one-room apartment where Gwen shows distrust and fear towards the new man. Alex and Toni make love, and during Alex’s short stay he espouses his philosophy on the terror of possibilities in life and the choices we find ourselves making. When Alex finally reveals the contents of the station wagon, Toni begins to understand that her troubles and worries could be abandoned should she choose to adopt another identity, to become the person she always dreamt of being. I am being deliberately vague in my description. It’s partly from not wanting to spoil the events of the story so that the reader might enjoy them in their full, proper glory, but if someone were to take this to mean that “You Go…” contains a 180-degree twist that would turn M. Night Shyamalan green with envy, they would be mostly incorrect. While the ending to Ballingrud’s tale may be considered shocking by some, one will come to realize that it’s the only ending that Toni’s story could have had (though it’s technically something more like a beginning), just as the closing to Jeremy’s chapter in “Wild Acre” was determined the moment he abandoned his friends. The title of Toni's story becomes prophecy. “You Go…” also contains a considerably small amount of the weird and fantastic even when compared to “Wild Acre.” It serves the same function in both stories, making its brief appearance to nudge the protagonists down the paths they are destined/doomed to take before vanishing from the story completely, its work having been done. She gave the hat back, feeling suddenly deflated. It was as though by saying it, he’d broken the spell. “I don’t know,” she said. Though the ending is gobsmacking in its own right, it’s this little exchange here that kicks me right in the heart. As someone who is constantly submerged in and influenced by dreams, nothing tears into me like seeing them crushed, the bland sense of futility and atrophy that takes us over when we have those “realizations” of “It’s not worth it”, “It’s too late”, “It’ll never happen.” Ballingrud’s story taps into that human desire we all feel at one point in our lives to share in the success and ease and love of those who we see as our more fortunate betters. If only it were all as easy as putting on a different hat, or something else. If the reader is left with the impression that “You Go Where It Takes You” doesn’t come anywhere close to horror, their ideas concerning the scope of the genre would be terribly limited. Mine certainly were, before I came to Ballingrud’s work. At the time I didn’t realize that genre fiction like this existed or could exist. Ballingrud reawakened me to the notion that the best and most affecting horror comes straight from the heart. He taught me that writing like this should hurt like hell. Read "The Monsters of Heaven" here. Buy North American Lake Monsters here. Fabulous post, as always, Jose. Thanks for adding a new name to my want list!